Dimensions: H25 x W29 x D26 cm approx. 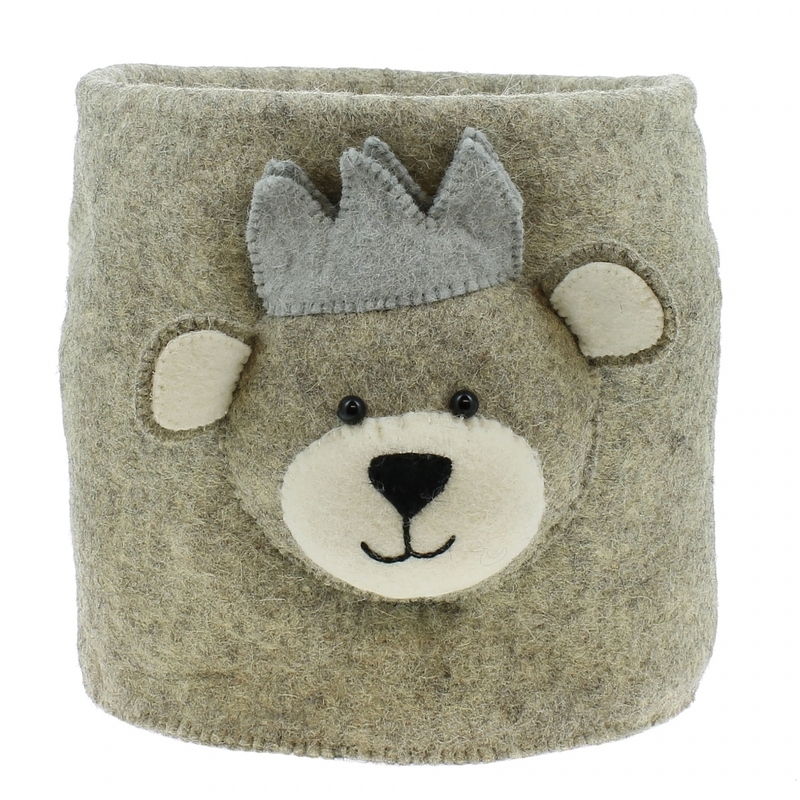 Keep supplies tidy in a cheerful Baby Bear with Crown Felt Animal Storage Bag from Fiona Walker. This grey bear has a blue crown on and is ready to store your toys, clothes or baby supplies, this character bag has a friendly face in front, a tail behind and two hand holes on the sides. Made from felted wool, this bear bag will be much admired in a child's bedroom or nursery and you can team it up with the matching mini animal wall head, mobile and rug to make a lovely gift set.